Is That A Real Fire? People kept suggesting that I make a recording of the songs I wrote and sang at Rendezvous campfires. When a few of them pre-paid for a tape, I figured they were serious and got to work on it. It first came out as a cassette. Now it's a CD, too. One of the high points of the process, for me, was having a room full of Buckskinners sing Movin' On for my 4-track recorder - The recording equipment was using the only electricity in Ron's cabin and we were recording by candlelight. When you get your CD, imagine that you are sitting around a campfire, with good friends, sharing songs and stories. It is cool but not uncomfortably so, and the smoke only comes your way when you're not singing along. Of the 14 original songs on IS THAT A REAL FIRE, several are specifically about the Rendezvous experience. They're pretty self-explanatory, though, so if you aren't a Buckskinner, you'll still enjoy the recording. 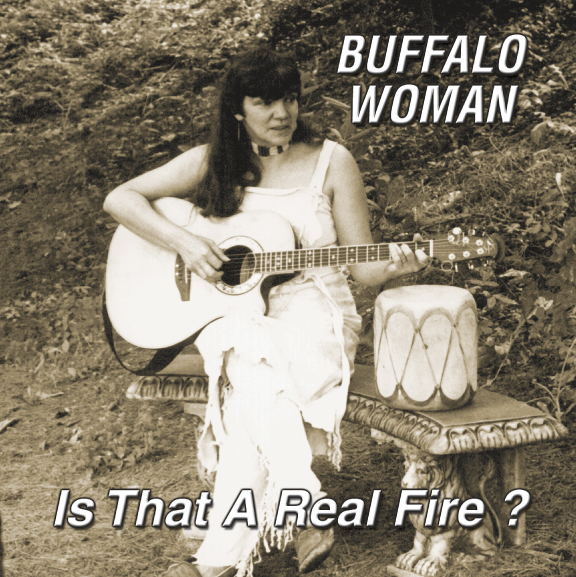 Now you can order the CD version of IS THAT A REAL FIRE? through CD Baby and not have to wait for me to get home to send it. What it's like to weather a storm with friends, safe and warm, in a tipi. Joy is the fortune of Buckskinner kind. Find out why. The mountain men of the fur trade knew how to travel light. I want a pack like this. Sometimes things don't go too smoothly. In a firestarting contest, you strike a light with flint and steel, get a "nest" of tow (linen fibers) burning, and use it to burn through a string, for time. If you're not a skinner, that will help you with this song. These are all genuine, authentic, documented questions. My daughter said it was her favorite of my songs - and she was never going to clean her room again. And a song for when enough is enough.